The good witches of Wadingburn are worried - there's a new witch in town with a bag of magic bones, and she's so evil she makes their toes ache... Another fun-filled fantasty in the Tales from the Five Kingdoms stories that started with The Robe of Skulls. Truda Hangnail is a very wicked witch, banned from the Five Kingdoms because of her use of deep magic. Then she comes up with a fiendish plan to restore evil to the Five Kingdoms, transforming the good witches of Waddingburn into shrivelled, wicked old witches who will help her take over King Frank's kingdom on his fiftieth birthday. Luckily, a sweet-natured half-human, half-elf named Loobly is witness to Truda's evil spell and sets off to fetch help. As the birthday party looms and Truda's evil gathers strength, Loobly enlists the help of Prince Marcus of Gorebreath and Gracie Gillypot, as well as old friends Gubble the troll and Marlon and Alf the bats, to stop Truda and send her packing to the house of the Ancient Crones to face her just deserts. Vivian French has been writer-in-residence at libraries, schools and festivals, including the Edinburgh International Book festival. 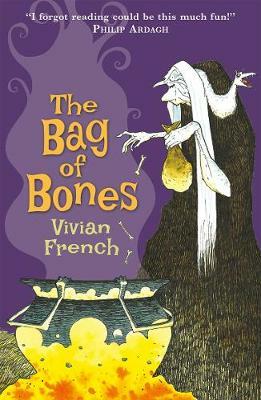 The Bag of Bones is one of her many books for Walker that include fiction, picture books and non fiction. The Robe of Skulls was published in 2007 to great acclaim - Philip Ardagh described it as "24-carat gold." Vivian French lives in Edinburgh. 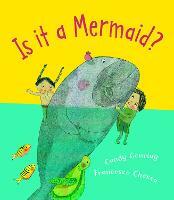 Ross Collins is an acclaimed author and illustrator, winner of the 1994 Macmillan Prize for Illustration. His popular children's titles include Germs, The Three Grumpies by Tamra Wright and the Little Hero series by John Grant. He lives in Glasgow.